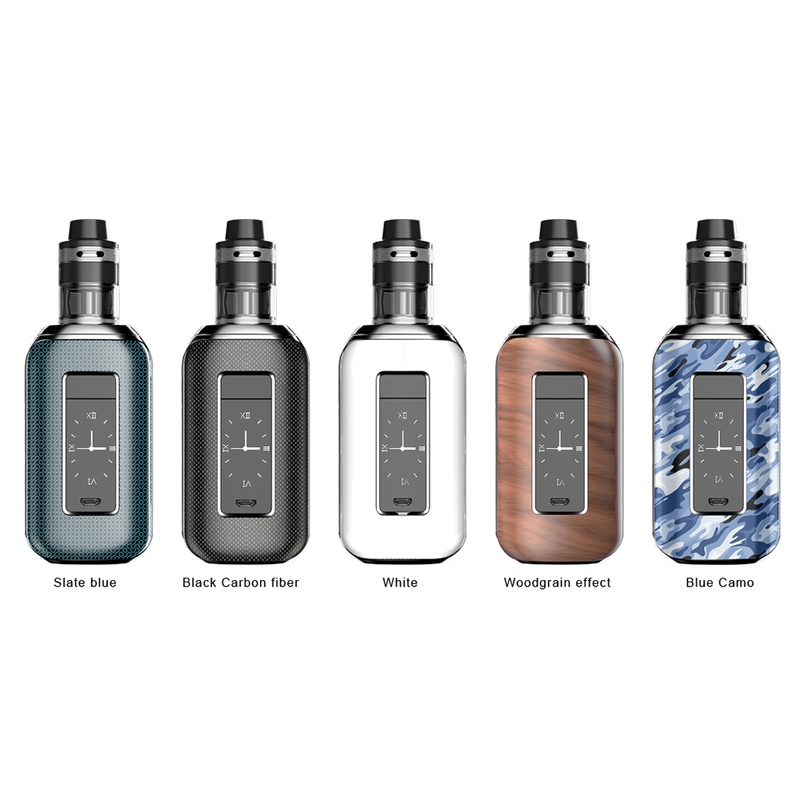 Aspire SkyStar Revvo powered by 2 high drain 18650 (batteries not included), 210-watt max power box mod with a 1.3-inch touch screen and the revolutionary Aspire Revvo tank. Featuring multiple vape output modes including VW, VV, BYPASS, TC and CPS (Customize-able Power Settings) mode. 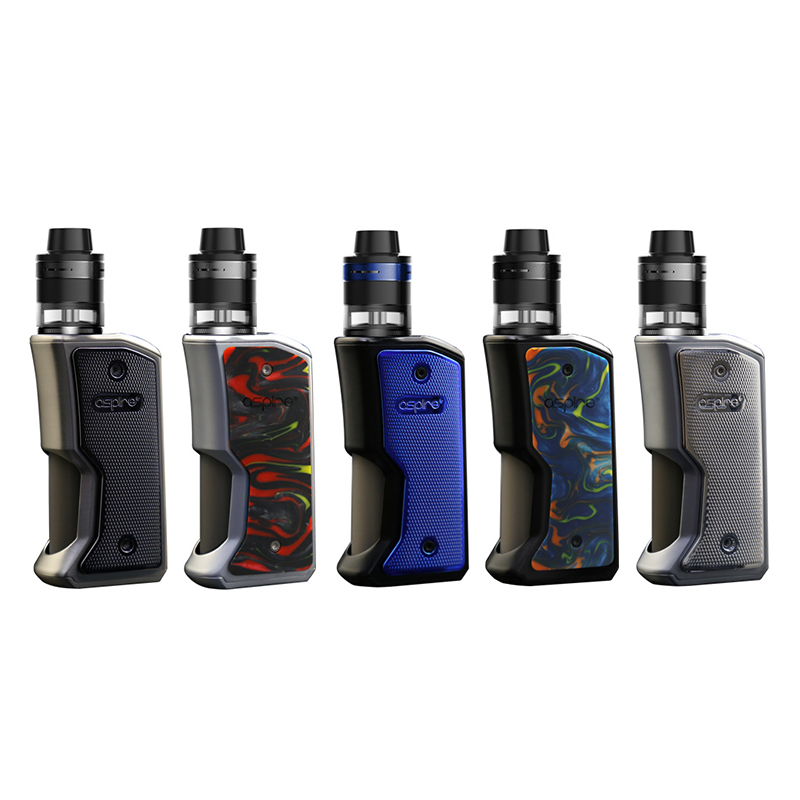 The Aspire SkyStar Revvo Mod has a comprehensive TC suite that supports SS (304 / 316 / 317) / Titanium / Ni200. 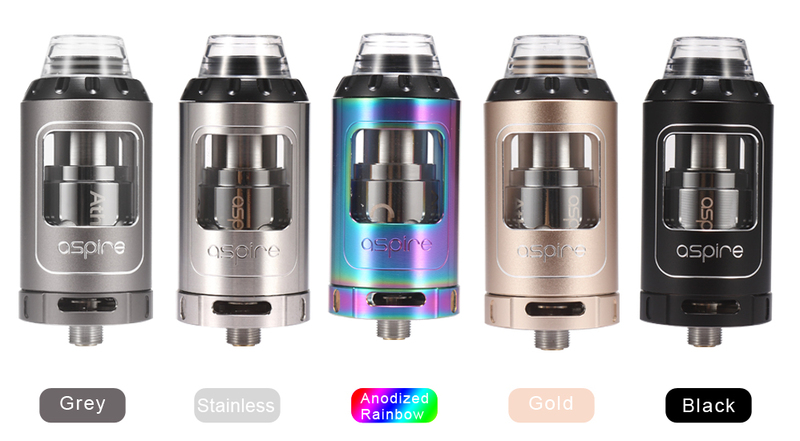 Aspire has taken innovation to the next level with this tank and brings you an all-new concept in coils, The Flat Radial Coil. This new coil design, named ARK (Aspire Radial Coil) is great for vapor production and gives excellent flavor. The tank itself comes in a TPD compliant 2ml version and a standard 3.6ml version. It has adjustable top airflow with a convenient top fill spring loaded filling tube. The spring of the tube is soft enough to allow even slight pressure from almost any type of bottle/glass dropper to open it, but strong enough to create a leak proof seal when released after filling. The strong Pyrex glass tank allows you to see at a glance the amount of e-liquid in the tank.